Take 1 capsule daily or every other day or as recommended by a healthcare practitioner. Selenium is said to have two sides. Both its deficiency and excess is very dangerous to health and that is why it should be supplemented with caution. Experts indicate that safe selenium intake is up to 400 mcg daily. The manufacturer recommends to take 1 capsule, i.e. 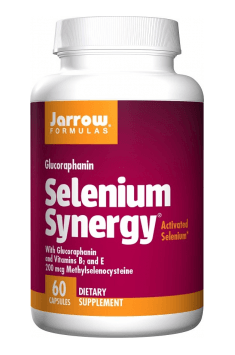 200 mcg of selenium, to prevent deficiencies. While following a well-balanced diet, you can take only 1 capsule every other day. The supplement contains also other nutrients. Some of them are fat-soluble. Because of that, it is suggested to take the supplement with a meal. If you are taking also a zinc supplement, take it within several hours of taking this supplement.